Clonmore church is located just a short distance to southwest of Bree village on the edge of low ridge that overlooks a small stream to the south. It is currently surrounded by a relatively small sub-rectangular graveyard, the ground level of which is considerably higher than the surrounding fields, indicating a significant depth of accumulated burial soil. Originally, as the distinctive curvature of the road to the northwest of the site shows, the church appears to have been defined by a circular enclosure that may have measured c. 60m in diameter. This is typical of Early Christian sites in Ireland and is indicative of an early date for the church’s foundation. The surviving graveyard contains a centrally placed stone church, the walls of which are nearly demolished to ground level. The church appears to consist of a nave and chancel and its outline measures approximately 20m long by 7 wide. The surviving walls of the church are largely overgrown, but where visible they appear to be constructed out of randomly coursed and roughly hewn stones. Within the interior of the church building are a number of 18th and 19th century headstones. 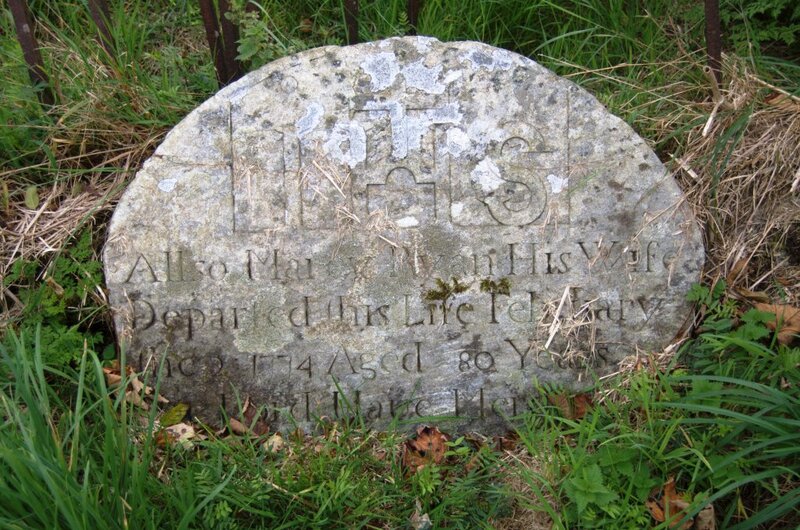 The surrounding graveyard also contains some fine 18th century headstones as well as some crude stone crosses and cross inscribed slabs of indeterminate date. In Rev. P. Shiel’s History of the Parish of Bree he describes the presence of a water font at the graveyard as well as the remains of an adjacent mill pond (Sheil 1921, 114). The granite water font in now found in the garden of the parochial houses, while the presence of a former mill pond, probably connected with the adjacent stream, should not be surprising as early church sites are often associated with mills. Shiel also mentions the recovery of a pair of earthenware candles from the site along with coins bearing the inscription ‘Camack Coin and Camack’ (ibid, 114). The coins described appear to represent copper tokens a number of which, bearing legends such as ‘camac’ or ‘camack’, were issued in the late 18th century. The early history of Clonmore is uncertain but it appears to have been founded by Saint Aidan of Ferns sometime in late 6th or early 7th centuries AD. St. Aidan was born at Port Island, Co. Cavan in the middle of the sixth century and he is normally referred to as Maedog (now pronounced Mogue) in the Irish Lives. 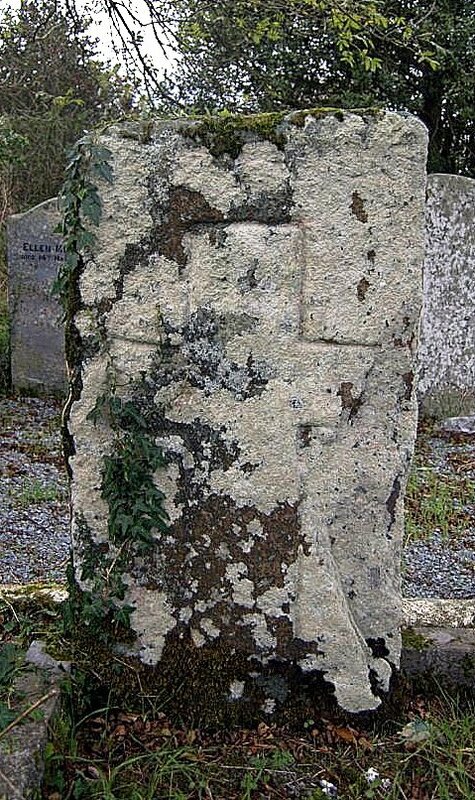 He studied for some time under St. David at Menivia (now St. Davids) in Pembroke, Wales and on returning to Ireland he landed in Ui Cheinnselaig (modern day Wexford along with parts of Carlow and Wicklow) where he founded a number of monasteries, including Ferns and Clonmore (Plummer 1922, ii, 209; Culleton 1999, 102-107). After its foundation Clonmore was allocated to a disciple of St. Aidan called St. Diochalla Garbh (Plummer, 1922, ii, 209). Accordingly the site is often referred to as Cluain More Diochalla Garbh in the early texts. 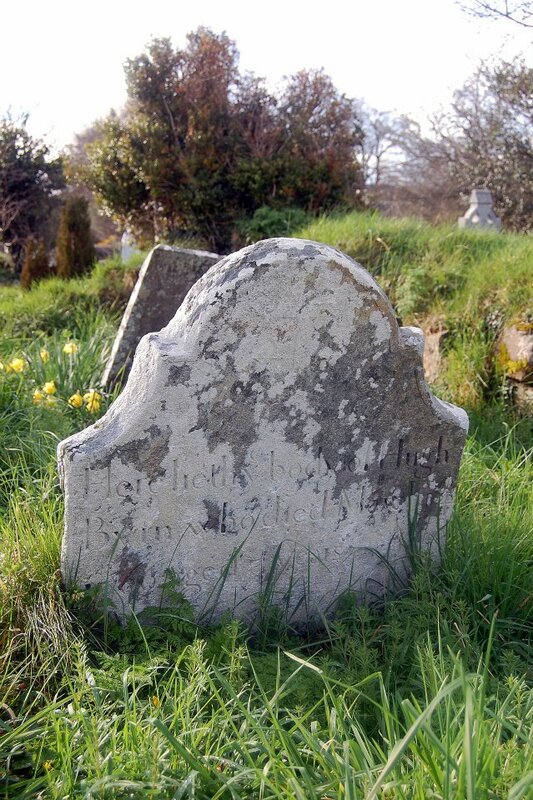 It has been suggested by O’Hart that Diochalla of Clonmore (or Duical/Dichull) was descended from Aedh Dubh, king of Leinster, whose death is recorded in AD 591 (O’Hart, 1876, 762). Similarly it has been speculated that this St. Diochalla may have been the same St. Diucail who founded a monastery on Ireland’s Isle, along with his two brothers Munissa and Nesluagh, in the 7th century (O’Hagan 1873, 375). Clonmore is specifically mentioned in the Life of St. Maedog (St. Aidan), the surviving versions of which date to around 1200 AD. It describes how in the late 6th century, Aed son of Ainmire, king of Ireland, assembled a great army to harry and raid Ui Cheinnselaig. In fear the people of the locality collected their flocks and possessions and brought them to Cluain Mor Diochalla (Clonmore) where Maedog (Aidan) was then residing. As the king’s men approached the monastery Maedog went forth and made the sign of the Cross. Ignoring the saints actions a warrior strode forward and immediately fell dead, struck down by God. On seeing this the king and his army turned back from the church saying ‘We cannot fight against the saints and the three Persons of the Trinity and Maedoc with his miracles’ (Plummer, 1922, ii, 209). In some early historical studies the church at Clonmore, Bree has been mixed up with its more illustrious counterpart at Clonmore in Co. Carlow. 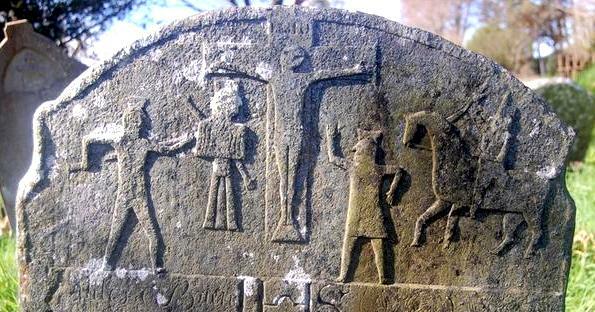 This confusion arises out of the fact that both churches shared a name, were located in Ui Cheinnsealaig, and were found by a St. Aidan (these saints were in fact two different people, who happened to share a name). It is the Co. Carlow church, rather than the site at Bree, that is referred to a number of times in the Irish Annals and which was attacked by the Vikings (see Culleton, 1999). For the remainder of the medieval period the church at Clonmore was the focal point of a large, similarly named parish. However, the church had gone out of use by at least the 18th century when a ‘mass house’ located in Bree townland was used instead for religious services (see Shiel 1921). Indeed, local folklore suggests that Clonmore church was destroyed circa 1649 when Cromwell’s forces, who were camped at Garrenstackle, trained their cannons on it (ibid). It is impossible to verify this story but it does appear that the church had gone of use by the mid-17th century. It was certainly still standing in 1618 when it is mentioned in an Inquisition by James I (MacEochaidh 1970). However, by 1652, just three years after Cromwell’s reputed attack, the church appears to be derelict as it is omitted from the The Civil Survey, of Co. Wexford (Simington 1953). The mass house which replaced Clonmore church was located near the base of Bree Hill, close to Mick Foley’s farm. (the remains of a ’mass path’ can still be traced across Foley’s farm). This mass house was in turn replaced by a small chapel that formerly stood to the rear of Byrne’s shop and yard. This chapel was converted into the village’s first school sometime after the present Pugin designed church of The Assumption was built in 1839 (see image below). Although the modern Catholic parish became known as Bree, the site of St. Aidan’s original church has been commemorated in the name of Church of Ireland parish, which is still called Clonmore. O’Hart, J. 1876. Irish pedigrees; or, The origin and stem of the Irish nation, Dublin.